Today bakery pies are in the $20.00 range … sounds like it was a great grand opening offer. Note: this is a historic post, please look at the date. 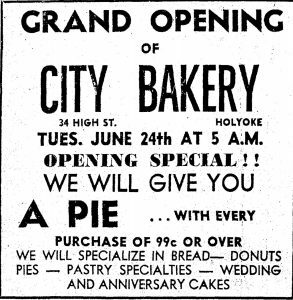 I don’t remember City Bakery on High Street, but then my parents usually patronized Langelier’s back then. 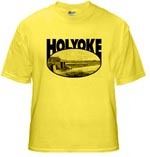 Anyone remember this place?